Where should Amazon’s new headquarters be located? 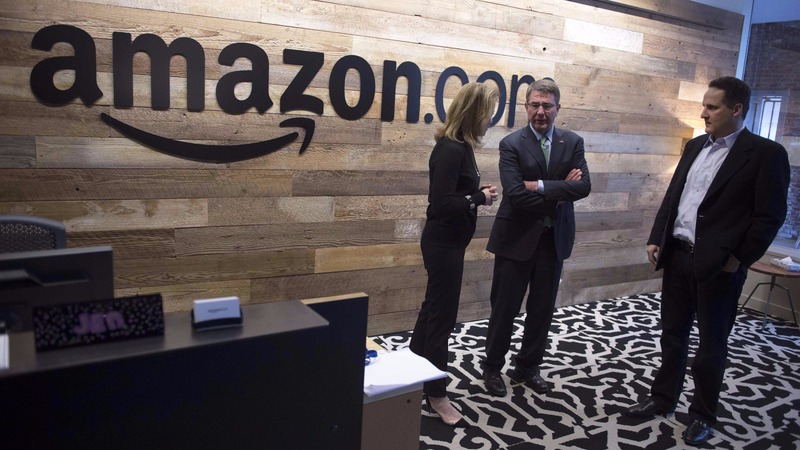 Since then, the US and Canada are abuzz about Amazon. Dozens of cities are arguing why Amazon should pick their city. There’s also a lot of articles about which city Amazon should pick. On that note, I may as well join in, too. A metropolitan area of at least a million people, as noted. A “business friendly environment.” I’ll interpret it as somewhere with a Republican/libertarian/conservative-led or -influenced state government, and preferably a state/province either without a state/local income tax or a low one. (Washington, of course, doesn’t have one.) Being an inexpensive location might also be a plus. Not in California, Oregon, or an adjoining state/province to California, Oregon, and Washington; I suspect those would be too close to Seattle and redundant. So no Silicon Valley, Vancouver, Portland, or Phoenix. Somewhere techie-friendly or with an already fairly strong tech industry presence. Not something I can really gauge (besides varying surveys, etc. ), but it’s an inherent assumption. For Canada, metropolitan areas with at least a million people include Toronto, Montreal, Vancouver, Calgary, Ottawa, and Edmonton. For Canada, here’s a list of the current provincial government control by party. No Canadian cities above a million people in population are in provinces with conservative-controlled governments. Canada’s 2015 federal election saw a big swing away from Canada’s Conservative Party, with Justin Trudeau (of the Liberal Party) becoming prime minister. States without a state income tax include: Washington, Alaska, Florida, Nevada, South Dakota, Texas, and Wyoming. States deemed the most tax-friendly by a pro-business think-tank, the Tax Foundation, include: Wyoming, South Dakota, Alaska, Florida, Nevada, Montana, New Hampshire, Indiana, Utah, and Oregon. The next ten states include: North Carolina, Michigan, Tennessee, Texas, Missouri, Colorado, Washington, West Virginia, Delaware, and Idaho. Which city will it be? So which city will Amazon pick for its new headquarters? My guess is Houston or Austin, Texas. 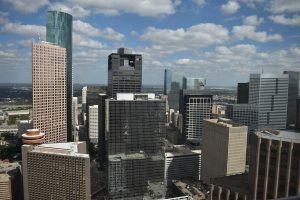 Both are cities with strong tech industry ties (and in Houston’s case, ties to NASA); Texas also has no state income tax and is business friendly. Austin in particular is a somewhat progressive city, and hosts the annual SXSW conference. Houston, meanwhile, is the nation’s fourth-largest city, which means plenty of big-city amenities at hand. As for Canadian cities, Canada has the same amenities and a similar culture as its neighbor. These days, Canada’s government’s also much less xenophobic/much friendlier toward immigrants than the United States government. However, the US has a friendlier business climate, so that might be enough to keep Amazon stateside. On the unlikely chance Bezos and company head north of the border, it’ll be Toronto. Ignoring all of the above, I’d personally favor Chicago as a possible location. It’s centrally located, has plenty of amenities (as the nation’s third-largest city), and has previously seen another Seattle-area company’s headquarters relocate there (Boeing). Chicagoland also is the home of Sears, a one-time Amazon-sized retail titan. 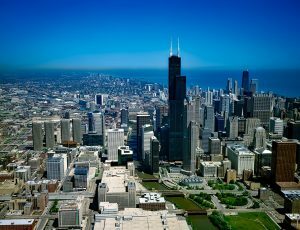 (Until recently, the Willis Tower was named the Sears Tower.) I’d also argue that Chicago’s home to a diverse population, which might be a step toward dealing with the tech industry’s diversity problems. What are your thoughts on Everett? That’s the rumor I heard. But I also hear Indianapolis is prepping like its the olympic games to get picked! Everett = “Seattle area,” so that’d be a definite no. As an ex-Hoosier, Indianapolis would be interesting. Houston and Austin are my guesses as well. Major metropolitan areas that seem to have their own ‘vibe’ already and would be business friendly. Anything in NC would surprise me, just because of how cutting-edge Amazon is and those areas do not give that feel. We will see!